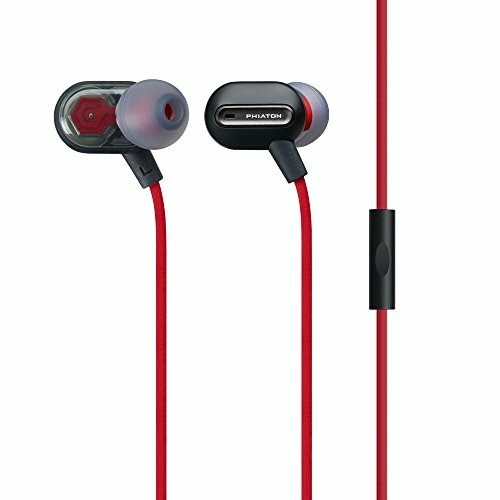 Hybrid Dual Driver: The warm depth of a dynamic driver combined with the detailed treble of a balanced armature driver provides your earphones rich, authentic sound. Balanced Armature Driver: Experience high frequency tones like never before in an earphone. The balanced armature driver technology makes each vibrant note come alive, letting you hear all the textured nuances and precise details of your favorite classical, guitar, and string music. Tangle-Free Oval Shaped Cable & Transparent Design: Textured cable helps to minimize cable tangling and minimize cable touch noise and the transparent shell design allows you to view the inner parts of Phiatons driver technology. Music & Calls: Features a remote and microphone so that you can easily answer calls or control your music. If you have any questions about this product by Phiaton, contact us by completing and submitting the form below. If you are looking for a specif part number, please include it with your message.